Earlier this week RISC hosted another networking event at the Institute of Directors in London where clients, both old and new, came to hear Gavin Ward discuss what critical factors skew valuations in oil and gas acquisitions. RISC has taken part in hundreds of acquisitions and divestments. We have advised on Ophir’s acquisition of Santos’ SE Asian portfolio, the acquisition of Petrobras Nigeria, Macquarie group’s acquisition of Apache’s Australian assets, Premier Oil’s acquisition of E.On UK, Santos’ acquisition of Quadrant Energy and the valuation of Venture Production as part of their defence against Centrica’s aggressive takeover. Drawing on RISC’s previous experience, Gavin’s presentation sparked an interesting and thought provoking discussion between guests on what factors are most important to clients during this process; technical or commercial? Another wonderful event which offered guests a unique chance to interact with other industry professionals in an open forum environment. Thanks to everyone who made the evening such a success! Gavin’s presentation can be found via the industry presentations page on our website. 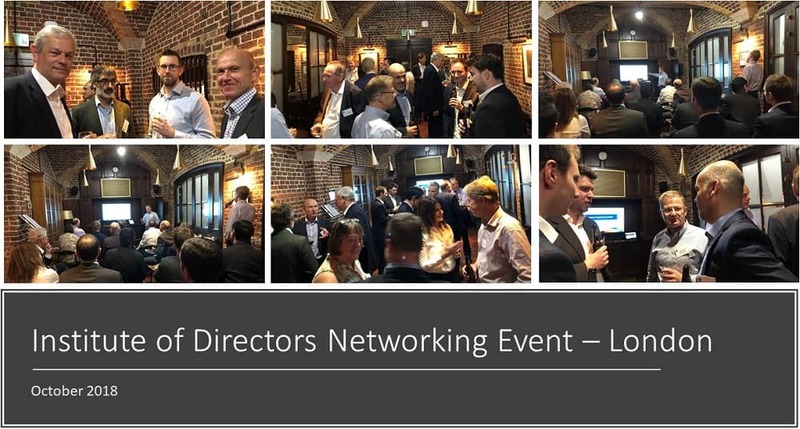 To keep up to date with other RISC networking events, please visit our LinkedIn page.